A good gravy goes hand in hand with a beautiful roasted turkey. We get rave reviews for this one, made with the pan juices, and a little help from some pantry items. Pour the pan juices from the turkey in a bowl, scraping any brown bits from the bottom of the pan. Strain them into a glass measuring cup, and add 1/2 cup of white wine, and enough stock to measure 6 cups in total. 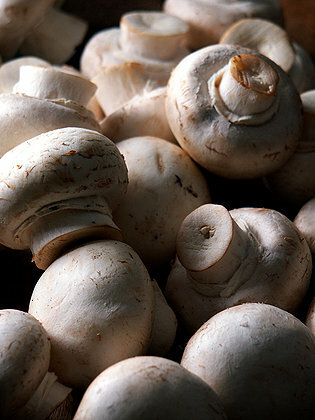 Sauté 2 pounds of sliced mushrooms until they are golden brown and the juice has evaporated. It will take about 15-20 minutes. Mix in reserved garlic herb paste, and sprinkle with about 1/3 cup of flour. Toss to incorporate the flour, so lumps will not form when the liquid is added. Whisk in the broth/pan juices and bring to a boil. Continue whisking as it thickens. Season to taste with salt and pepper, and enjoy! Check us out at indigojonesnyc on instagram. Want to see what we have been pinning? Take a look at our Pinterest page! Visit our new sister site: indigojoneseats. This entry was posted on November 26, 2014 at 2:57 pm and is filed under Food. You can follow any responses to this entry through the RSS 2.0 feed. You can leave a response, or trackback from your own site.